Grab your bikes and get ready for some fun! Fraternal Order of Eagles-Arizona State Aerie & Auxiliary is hosting the Arizona State Presidents' Poker Run benefiting Southwest Kids' Cancer Foundation's Arizona Camp Sunrise & Sidekicks programs. Prizes for high and low poker hands, as well as other raffles! On-site registration only at Lost Dutchman #3850 Aerie - 2315 S Coconino DR, Apache Jct, AZ (just West of Idaho RD and Southern). Consider this your invitation to join us! NHN's Southwest Cancer Kids Foundation Happy Hour. 100% funds goes to helping this organization provide a great camp experience for children (and their siblings). Limited tickets available! $40 per ticket includes one drink and buffet! Invest in AZ! 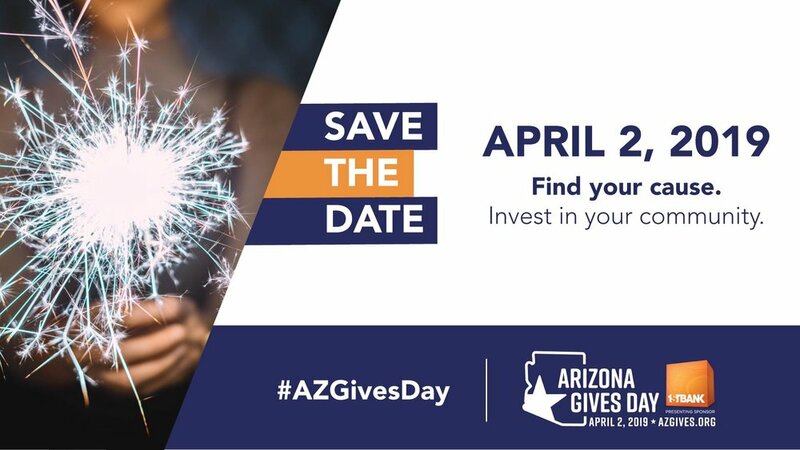 We are excited to announce that #SWKCF is joining this year’s Arizona Gives Day, a statewide, 24-hour online giving campaign. Please consider giving on April 2 or scheduling your gift in advance at #AZGivesDay. We have a goal of raising $3,000 to help us send kids to camp this summer!